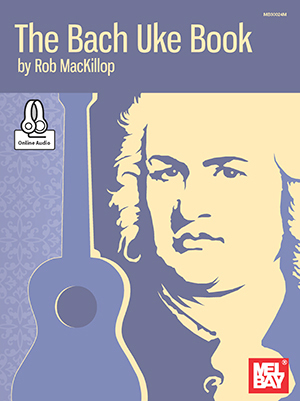 This book and accompanying audio offer a unique look into playing the music of Bach on the ukulele. Included are twenty duets for two ukuleles or ukulele and guitar. The first part in the duet can be played on either soprano, concert or tenor ukulele, and the second part on either baritone ukulele or guitar. This collection contains beautiful arrangements of many of Bach's most popular pieces. Some of the arrangements are simple, some complex, but most are of intermediate difficulty. The accompanying audio contains breathtakingly beautiful performances by ukulele maestro, Rob MacKillop, and historical guitar specialist, Gordon Ferries, making it wonderful in its own right. Included are pieces such as Sheep May Safely Graze, Minuet in G, Sleepers Awake, Jesu, Joy of Man's Desiring, and many other classic tunes. Includes access to online audio.